UPDATE AS OF 11:35 p.m. -- The measure has not passed - 50.28% vote No, 49.72% vote Yes. 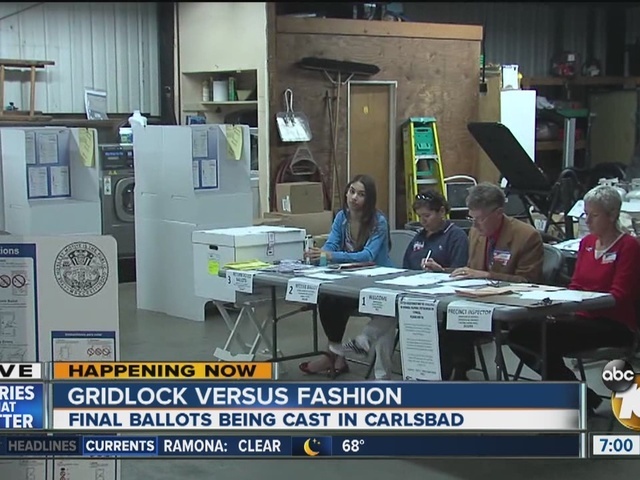 Carlsbad voters are casting ballots in a special election Tuesday to decide the fate of a proposed retail and dining development on the shore of the Agua Hedionda Lagoon. The center planned by Los Angeles-based Caruso Affiliated has drawn opposition from environmental groups and mall owner Westfield, until recently the owner of a shopping center near Carlsbad's northern city limits. Caruso plans to build on 15 percent of the 203-acre property and leave the rest as open space. A popular family-owned U-pick strawberry farm alongside Interstate 5 would be allowed to remain in operation. 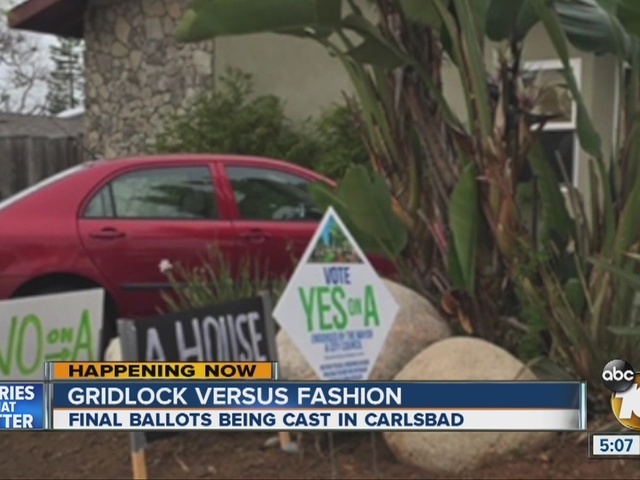 The plans were approved last year by the Carlsbad City Council, but opponents -- concerned about the size of the proposed buildings and worsening traffic congestion -- collected enough petition signatures to force it to a public vote. Voter Elizabeth Smith told a local media outlet that she wished the project would help the lagoon, but doesn't think it will. "The whole entire lagoon will change once they begin construction," Smith said. "All of the pesticides from the strawberry fields will go down into the lagoon. There are just so many parts to this the public never really learned about." Another voter, Drew Rivera, told reporters that Carlsbad residents historically fight development. "Legoland, Costco -- you see all those things come in, and not a lot of change," Rivera said. "So, I don't buy into that fear of more traffic." Registrar of Voters Michael Vu said voting was taking place at 59 polling places will be set up around Carlsbad. Voters who haven't returned their mail ballots can drop them off at a polling place or at the Registrar's Office, 5600 Overland Ave. in Kearny Mesa. He said 56 percent of the mail ballots sent out have been returned, so the total turnout by the time polls close at 8 p.m. should be north of 38 percent. An initial count will be released shortly after 8 p.m., with the final results expected between 11 p.m. to 11:30 p.m., Vu said.